More Fun Dining: Can’t Live Without? We Bicolanos are said to be lovers of chili. We love to eat spicy foods. 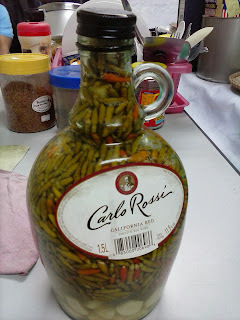 We sprinkle sili to ginataang gulay – some green and some red. We call the small super hot red sili as sambalas. At home, we plant chili in the back yard. We use the leaves in tinolang manok and the green sili too. 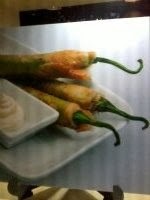 We use sili in atchara and all other menus at home. In Metro Manila, the price of sili is such as spicy too. Despite that we still manage to have sili in our food. I am glad that in Metro Manila, while they may not have the world’s famous sili eating contest, they cook and fry sili like turon. Aside from that, we make our homemade condiments like sukang sawsawan with sili and bawang to like how they do with pinakurat in Mindanao. Last week, I met a lawyer who told me that because of his love for sili, he lost his golden voice fit for singing with the band. He is a Bicolano too. Nevertheless, he still loves sili – something that I really cannot live without.